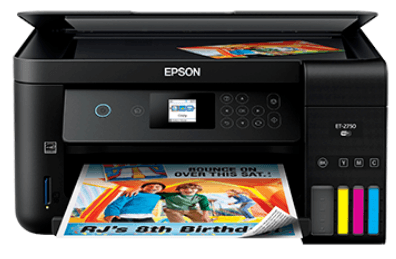 This post will show you how to download and update Epson ET-2750 driver in Windows 10/8/7. Printer drivers is an essential program that ensures your printer can communicate with your computer. Updating your printer driver can help prevent problems like printer not printing. Meanwhile, it can improve your printer performance and bring you the best possible experience in your computer. On the other hand, if your Epson ET series ET-2750 printer is not working properly, such as some error messages popping up, or printer offline, you should update your printer driver to fix these problems. Epson provides the necessary drivers for Epson printers and scanners, and will keep updating the driver software. So you can manually download the Epson ET 2750 driver from Epson. 1) Go to Epson official support website. 2) Type “ET 2750” in the search box, and select Epson ET-2750. 3) In the Downloads tab, make sure the detected Operating System is correct. 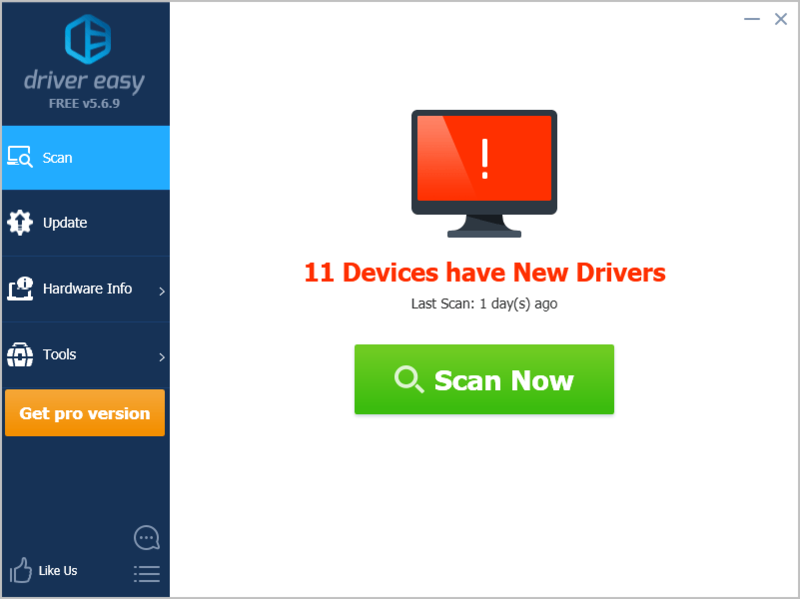 Then click Download to download the recommended driver package. 4) Run the downloaded file and follow the on-screen instructions to finish the installation. This method requires time and computer skills. If this method doesn’t work for you, don’t worry. You can try method 2. 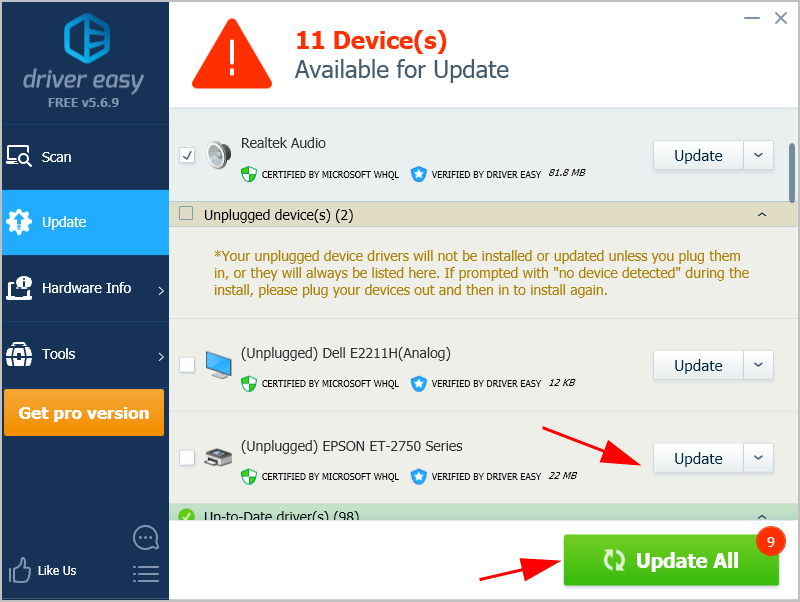 If you don’t have time or patience, you can download and update your Epson ET 2750 driver automatically with Driver Easy. 3) Click the Update button next to the flagged printer to automatically download the correct version of your driver, then manually install it in your computer (you can do this with the FREE version). Or you can click Update All to automatically download and install the latest correct drivers that are missing or outdated in your system (you can do this with the Pro version – you’ll be prompted to upgrade when you click Update All). That’s it – to manually or automatically update your Epson ET 2750 driver. If you have any question, feel free to leave a comment below and we’ll see what more we can do.